This is one breakfast you WON’T want to miss out on. The party will never end with this breakfast! Thick and delicious french toast gets tipsy with some rum which means this will no only be great for breakfast but would make a fun midnight snack too. Some days start off needed and extra kick and some days end that way. This is the PERFECT thing to make when such a day arises. 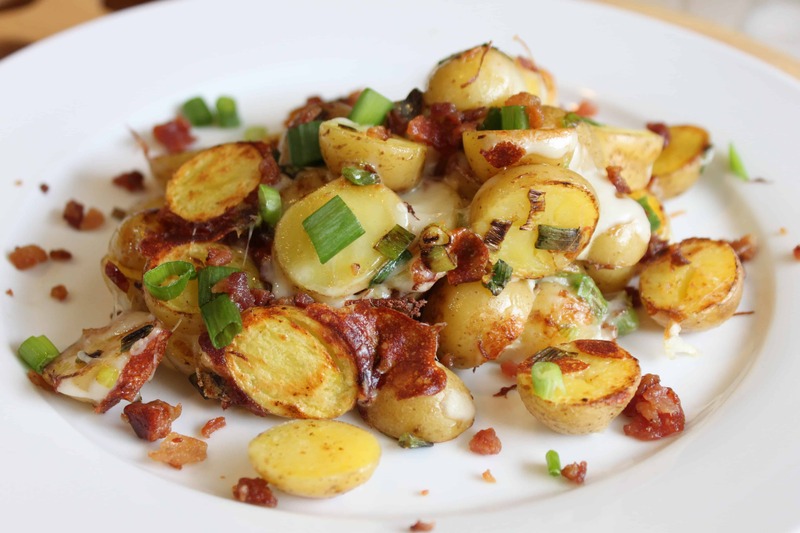 Gather up all the ingredients and then you’re only minutes away from all the deliciousness. If you aren’t a drinker or don’t have rum, just add additional rum extract to the recipe. soak the bread in the egg batter, let it sit in there minute or two so that it soaks through. while you are cooking the French toast, get the sauce started so it’s nice and hot when the French toast is done. 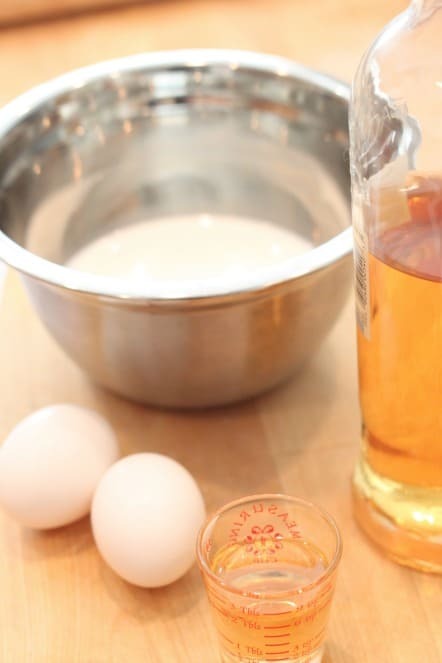 Mix milk, eggs, rum, vanilla and rum extract together until well blended. 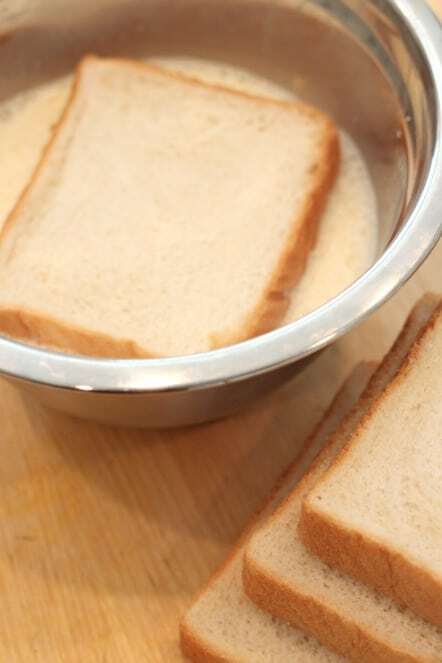 Dip each piece of bread into the batter and turn over so both sides absorb the mixture and it has time to soak in. Heat skillet to medium, place 1 tablespoon butter in pan and place 2 slices of bread into pan and cook on each side until lightly crisp, then cover it for another minute or to until center of toast is cooked through. Repeat for remaining 2 pieces of bread. 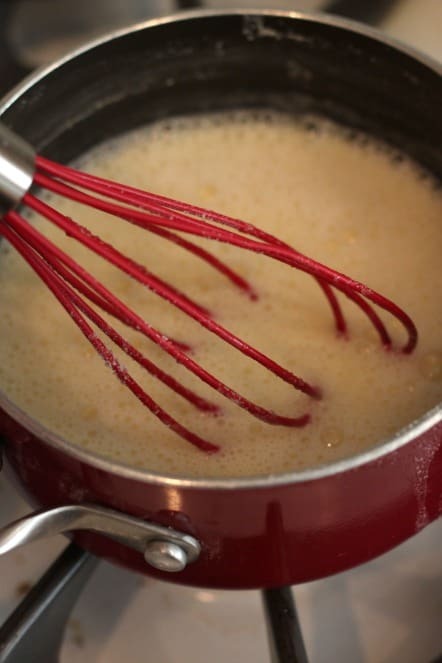 Whisk milk, rum and egg yolks together and cook over medium in saucepan, stirring constantly about 5 minutes or until thick. Remove from heat and stir in extracts and butter. 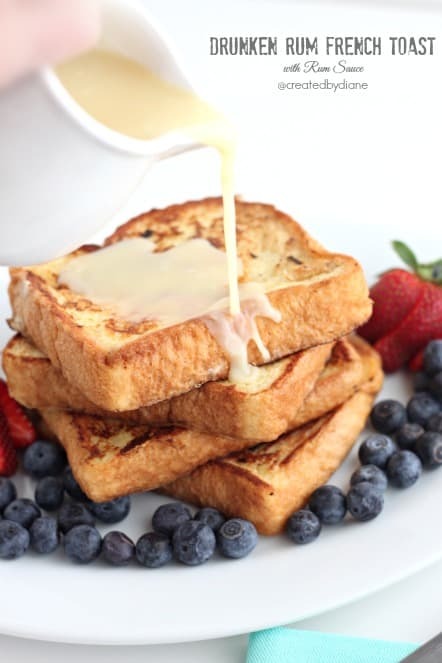 Serve warm over French Toast. Not lying, this recipe made my whole day better, not saying if the rum helped or not. We’ve all had those days, maybe it was the power of suggestion to be a little calmer to handle all the day had to offer. Rum, times 2?! Yes please!! This sounds fantastic, not to mention it looks amazing! YUM! Boozie french toast? YES please! They look so good! 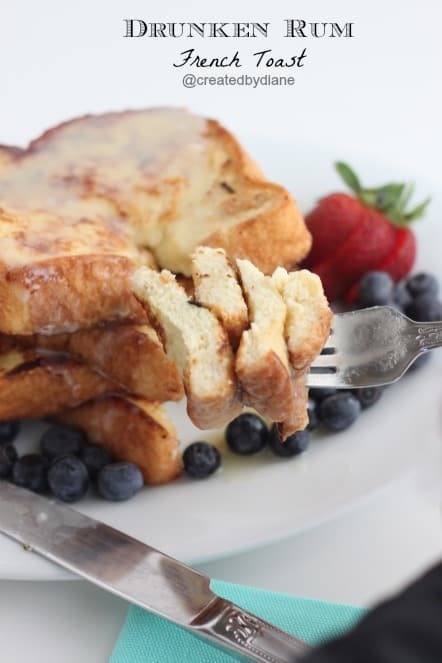 Love this rum tipsy French toast, Diane! The rum sauce looks simply divine. 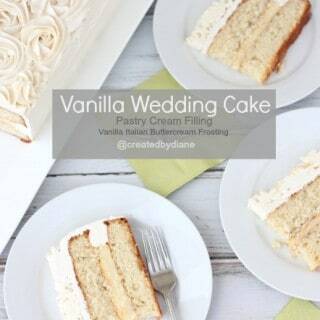 I want this for Sunday brunch tomorrow! Thanks for sharing. 🙂 Pinned! Diane, I love everything about this. I adore French toast and as soon as I saw the word rum, I knew this was the recipe for me. Boozy breakfasts are the best! I’m a huge french toast fan, and this flavor is going to be amazing for brunch tomorrow.